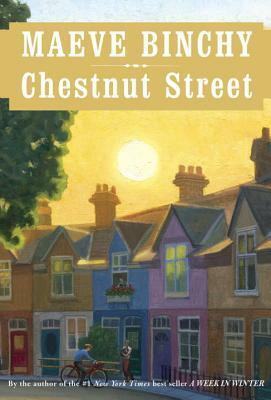 Chestnut Street is an imaginary street in Dublin, peopled with all sorts of interesting individuals. Occasionally, Maeve Binchy would write a story about one of these people, then put it away “for later.” Now these stories have been gathered to make another wonderful book. There’s Gwendoline who is practical, no-nonsense, and keeps to herself. Kevin, who drives a taxi, cares deeply for his wife and knows a lot about his fares. Dolly, who has a perfect mother. Nuala, who learns to say nothing. Wendy and Rita who plotted sweet revenge. Molly, who found a magic cure for sleeplessness. Thirty-six lovely stories from a master storyteller. Each a gem, calm and comforting. Each leaving you wanting just a bit more.